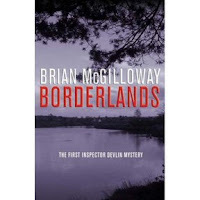 Borderlands, the title of Brian McGilloway's first crime novel, evokes a wide range of associations, particularly in the northwest of Ireland, where the novel is set. Detective Ben Devlin and the rest of the characters cross repeatedly over the national border between the Republic of Ireland and Northern Ireland, and both the police and the various criminals and suspects cross back and forth over the line between social norms and antisocial behavior. The story deals with the discovery of a young woman's body in circumstances that suggest that the murderer may have been one of the travelers (formerly known as tinkers), Ireland's gypsies. The social lines between the settled population and the travelers, between petty criminals and businessmen, between the police and the murderers are never completely clear, and McGilloway manages the multiple ambiguities of the story very skilfully. 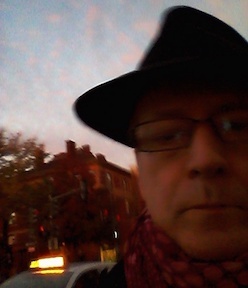 Devlin is the narrator, but he's no superdetective: he muddles along, frequently aware that damage is being done because he hs made the wrong move or remained a step behind those responsible for the original murder, vicious beatings (of which he is more than once the victim himself), and crimes of the present and the past. The long, sad history of Irish political entanglements is one of the subjects of the novel, but it remains in the background, as McGilloway and his narrator focus instead on the people who have inherited that history and those entanglements. McGilloway's style is clear and direct, even when the story is not, giving a real sense of Devlin's puzzlement and the process by which things are clarified. The various policemen and women involved interact with believable and human qualities, and the rest of the society of small-town Northwest Ireland and western Northern Ireland is drawn with subtlety and compassion. This is a short but powerful crime novel, and a sympathetic portrait of a "borderland" that is too often obscured in cliches or ruralisms in fiction of the present and the past. McGilloway conveys a believable portrait of a real, troubled, and coping-as-best-they-can population in the new Ireland, with all its contradictions and complexities. Glenn - Couldn't agree more. Brian McGilloway is a superb new Irish voice. Borderlands put me in mind of both Michael Dibdin and Ross Macdonald, despite being distinctively Irish. Book covers, U.S. vs. U.K.